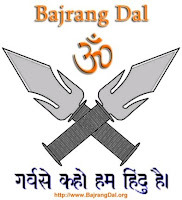 Bajrang Dal is the youth wing of the Hindu nationalist Vishwa Hindu Parishad ("VHP"). The Indian National Commission for Minorities ("NCM") held Bajrang Dal responsible for the recent anti-Christian violence in Karnataka. The NCM also dismissed the idea that forced conversions led to clashes, and called for legal action against Bajrang Dal. This eventually led to the Karnataka Bajrang Dal convener being arrested, and to the Indian central government - the National Congress - considering whether to ban the organisation. 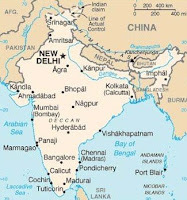 The Catholic-Christian Secular Forum ("CSF") of India has created an online petition, trying to bring this anti-Christian persecution onto the world stage. You'll see that some of the protests have a distinctly Catholic flavour. eg: "The Blessed Sacrament has been vandalized, cloistered nun-sisters attacked, crucifix & statues of saints desecrated...". I disagree with transubstatiation, enforced celibacy for ministers, and idolatry; but I still want to protest against this violence against them. I encourage you to join me in signing the petition.